Coyote Expeditons - ARTE AMAZONIA provides a global voice through art for the indigenous cultures of the Amazon. 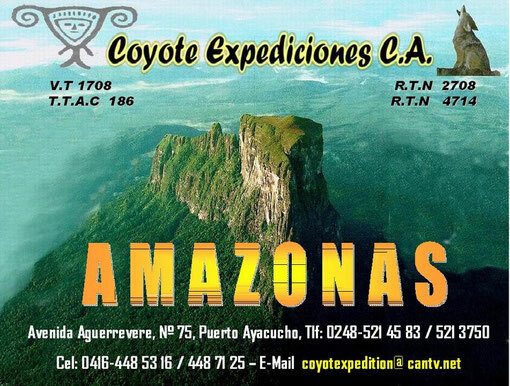 COYOTE EXPEDICIONES (Coyote Expeditions), is a tour company located in the heart of the Venezuelan Amazon. They specialize in expeditions following the Humboldt Route, the Yanomami, , and the Autana Tepui in Piaroa Land.